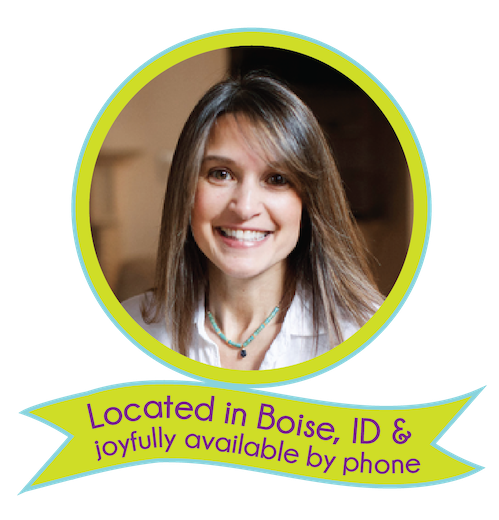 Julie is extremely dedicated to her practice and works with you with full heart and openness. She is also very grounded and in touch with reality, and would help you like your best friend to choose the right direction. With her help I was able to resolve my deeply tangled problems of the past and also deal with some of life’s most terrifying challenges. There was so much healing and peace as if I were back to being not just a carefree child, but rather a superchild, who has nothing to worry about and everything to enjoy. Her amazing attitude made me more and more enthusiastic about getting the most out of the meetings. More than just solving problems, I walked out of our meetings full of inspiration and excitement to do amazing things. And, I did do amazing things afterwards, and then shared with her! It was very cool to have someone like Julie who can be so supportive in such simple ways. My work with her has made a huge difference in my life. “I’ve worked with therapists before but Julie is the perfect blend of spiritual counsel and practical life coaching. She helped me to get to the root of my lack of self-esteem and self-worth… something I probably could not have done on my own. During our sessions, we get to the root of the problem quickly but organically and then she gives me tools and techniques to heal it. I needed someone who could help me understand my empathic and HSP-like tendencies and then guide me with practical resources, tools and affirmations to help me manage my emotions. Julie is that person. She guided me towards understanding exactly how my past and my thought patterns were influencing my present experiences. She helped me see how my relationships were influencing my self-esteem and guided me to shift my conversations, both with myself and others.